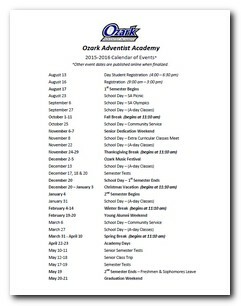 View, print or link to the online Calendar. To stay up-to-date with what is happening at Ozark, be sure and see the This Week page for a daily schedule and important announcements. 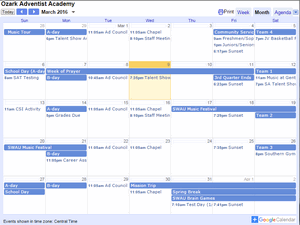 See the Online Calendar for daily event details.